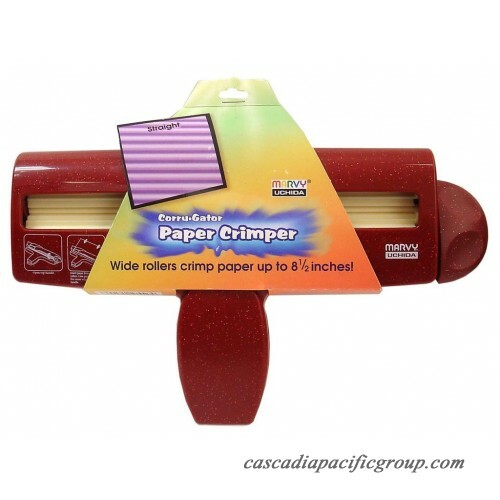 Add texture and dimension to plain paper with the Uchida Corrugator Paper Crimper. This handy crafting tool creates a soft ripple effect on postcard paper, lightweight paper and cardstock. It can crimp paper up to 8 ½\" long. The paper crimper tool is made from plastic. It is ideal for arts and crafts, school projects and scrapbooking. Crimp everything from gift bags, bond paper, post cards and construction paper to foil. 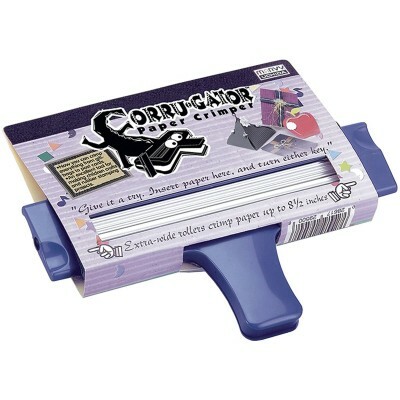 The craft crimper is ideal for everything from arts and crafts projects and scrapbooking to children's crafts and rubber stamping.